Which Ukrainian factories have experience of manufacturing electric locomotives and are capable of covering the shortage electric locomotives, at least partially? The shortage of locomotives is perhaps the main issue problem of rail freight transport in Ukraine today. 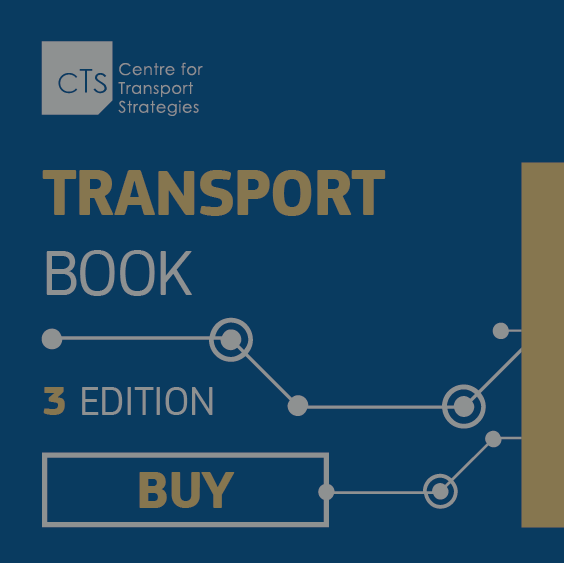 One or two years ago, the market focused on the shortage of railcars. The situation has now improved because the Ukrainian Railways joint-stock company (Ukrzaliznytsia) and private operators are actively increasing their fleets of freight cars. The main issue now is a shortage of locomotives, which is affecting the operating efficiency of the railways. Ukrzaliznytsia had an inventory fleet of 3,566 locomotives as of September 2018, including 550 passenger locomotives, 1,758 freight locomotives, and 1,258 shunting locomotives. However, only 287 passenger and 945 freight locomotives were in operation. The freight locomotives included 202 diesel locomotives and 743 electric locomotives. The upgrade of the company’s locomotive fleet began with diesel locomotives because the shortage of this type of locomotive is currently the most acute. “The fleet of diesel locomotives is significantly more obsolete, and it is in a more critical condition than the fleet of electric locomotives. When we talk about a shortage of traction, we mean a shortage of diesel traction,” Ukrzaliznytsia’s head Yevhen Kravtsov said in the spring. However, Ukrzaliznytsia forecast at the end of 2016 that it would have about 500 electric locomotives left instead of the required 1,000 if its cargo base increased to 407.8 million tons by 2025 and its fleet of electric locomotives was not renewed. In addition, 625 electric locomotives are expected to be written off by 2025. Ukrzaliznytsia stated in 2016 that it would be necessary to purchase 440 freight electric locomotives (230 direct-current, 160 alternating-current, and 50 dual-power locomotives) and 20 passenger electric locomotives by 2025. Investments amounted to UAH 72 billion in 2016. Kravtsov recently said that the company was considering purchasing 400-700 electric locomotives in the next 10 years. "For us, the priority for the end of this year and for next year is to determine the future of the electric locomotive fleet. It is currently one of the largest markets in the 1520-mm-gauge space. Most of the railways have either been upgraded or are in the process of being upgraded. We will organize an open tender after determining the technical characteristics," he said in late 2016. After a recent visit to France, Omelian said, “Everyone is waiting for an Ukrzaliznytsia tender, in which not only Alstom, but also Bombardier and Chinese companies, are ready to participate.” However, Omelian said at a recent meeting that no Ukrainian plant was capable of meeting the needs of Ukrzaliznytsia. “[Ukrainian manufacturers] can also participate. However, we have hundreds of locomotives that need replacing and I do not see a single plant in our country or in the West that is capable of doing this within a year. This is a project for decades," the minister said. Which Ukrainian factories with experience of producing electric locomotives could theoretically cover the shortage of this type of traction rolling stock, at least partially? The three Ukrainian plants with such experience are the Luhansk diesel locomotive plant, the Kryukov Railcar Building Works, and the Dniprovsk electric locomotive plant. The Luhanskteplovoz company (Luhansk), which is part of the Russian-based Transmashholding group, built electric trains for suburban transportation (the EPL2T and EPL9T electric trains) in the 2000s and produced a total of 24 2EL5 and 2EL4 electric locomotives developed by Transmashholding in the period from 2005 to 2013. Luhanskteplovoz, which is located in a non-government-controlled territory in the Donbas, has suspended operation and its assets have been partially looted. For reasons that are well known, this option cannot be considered even theoretically, but we could not but mention it because it was formerly the leading manufacturer of electric locomotives in the country. A senior manager at one of the foreign manufacturers of electric locomotives that are looking at the Ukrainian market said in comments to the CFTS portal that his company was considering several sites for assembling locomotives in Ukraine. The sites include repair plants. That is, only final assembly of foreign-made electric locomotives can be organized at such plants. 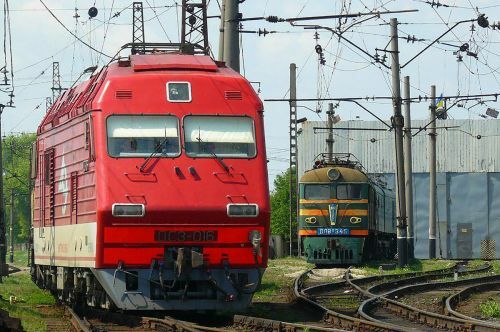 Regarding creation of a joint venture, the director of Ukrzaliznytsia’s department of strategic development and investment policy, Anton Sabolevskyi, stated recently that a joint venture could be established with an international manufacturer based on an electric locomotive repair plant or even one of Ukrzaliznytsia’s locomotive depots. Specifically, Sabolevskyi mentioned the Zaporizhia electric locomotive repair plant and the Lviv locomotive repair plant. "The main equipment for assembling [locomotives] is a crane that can lift a locomotive. Ukrzaliznytsia has a depot that is equipped with such a crane. We are considering all possible options," he said in an interview. The focus is on assembling locomotives because neither the Zaporizhia electric locomotive repair plant nor the Lviv locomotive repair plant has experience of producing electric locomotives. The main specialization of the Lviv locomotive repair plant is overhaul of direct- and alternating-current electric locomotives and traction rolling stock. The Zaporizhia electric locomotive repair plant also specializes in repairs. Attempts to create such a joint venture have been made at least twice at the Zaporizhia electric locomotive repair plant in the period of 2013-2014, when Ukrzaliznytsia and the Skoda Transportation company reached agreement on purchase of 480 electric locomotives. At that time, the Antimonopoly Committee of Ukraine even granted Skoda Transportation and the Zaporizhia electric locomotive repair plant permission to establish a Ukrainian-Czech plant called Zaporizhia Electric Locomotive. The second attempt was made in 2016, when Andrii Pyvovarskyi was Ukraine’s minister of infrastructure. The Czechs wanted Ukraine to invest USD 20 million in the joint venture but Pyvovarskyi had other ideas. He offered guaranteed purchase of 35-40 locomotives per year but no additional investments from Ukraine. The Czechs went away to think about the offer. They returned in November 2018 with the news that they would open a representative office in Dnipro and that the office would engage in railway and public transport projects for its parent company and involve Ukrainian suppliers in production. However, nothing was said about joint assembly of electric locomotives. The Kryukov Railcar Building Works began working on creation of freight and passenger electric locomotives for Ukrzaliznytsia in 2015. It reached agreement with Ukrzaliznytsia on guaranteed purchases, and it was ready to begin deliveries in 2017. It was assumed that the level of localization would be up to 50-60% at the initial stage, rising to 70-80% during the mass production stage. Then-infrastructure minister Pyvovarskyi said that Ukrzaliznytsia needed 1,200 electric locomotives and that the Kryukov Railcar Building Works was ready to participate in a tender for annual supply of 35-40 electric locomotives on par with other manufacturers. Various implementation options were discussed: single- and dual-system; alternating- and direct-current; single- and dual-section; freight locomotive capacities of 7.4-9.6 MW and speeds of up to 120 km/h. Volodymyr Prykhodko, the chairman of the Kryukov Railcar Building Works’ supervisory board, said in comments to the CFTS portal that the Kryukov Railcar Building Works had completed work on technical design of a mainline freight electric locomotive. "It is a costly process, and there is no certainty that Ukrzaliznytsia will buy them tomorrow. Therefore, we have chosen to work with well-known global manufacturers of freight locomotives in the hope that Ukrzaliznytsia will place long-term orders for locomotives manufactured in Ukraine," he said. At the same time, according to him, the Kryukov Railcar Building Works is already producing equipment that is nothing more than a passenger electric locomotive. These are engine cars for the EKr1 "Tarpan" dual-system interregional high-speed electric train. "It is an electric locomotive inside the body of which there is also a small passenger compartment with 22 seats. That is, a nine-car train includes two engine cars that are also passenger electric locomotives. Each engine car has a capacity of 2 MW. Accordingly, the two have a combined capacity of 4 MW," Prykhodko said. According to him, the Kryukov Railcar Building Works has the technical capability and the necessary license for production of traction rolling stock. Asked whether it would be cheaper to produce locomotives domestically than to import them, Prykhodko said, “It seems to me that Ukrainian history has left us no time to discuss future creation of a domestic locomotive because the issue of purchasing new locomotives is an extremely pressing issue for Ukrzaliznytsia today. Such a question would have been legitimate five years ago." On the issue of purchasing locomotives from the Kryukov Railcar Building Works, Ukrzaliznytsia’s Director of Investment Policy and Strategic Development Sabolevskyi said recently, “We are ready to support domestic manufacturers, but domestic manufacturers should meet us halfway. If we understand that the Kryukov Railcar Building Works is the only supplier, then it must also understand that we are its only customer." The Dnipro electric locomotive plant developed the first Ukrainian direct-current freight electric locomotive, the DE1, in the period of 1993-1995. This locomotive model was manufactured in the period from 1998 to 2008. The plant built 40 such locomotives during this period. A more modern version, the DC3 passenger-and-freight alternating-current electric locomotive, was developed in 2002 with the participation of the Siemens company (Germany). The German company developed the power electronics for its quill drive and the Dnipro electric locomotive plant developed the mechanical part. Only 18 DC3 electric locomotives were produced in the period from 2002 to 2008. “Ukrzaliznytsia has stopped ordering the electric locomotives, so we now perform overhauls of direct- and alternating-current traction units for Russia, Kazakhstan, Uzbekistan, and Ukraine,” the Dnipro electric locomotive plant’s Chief Designer Valentyn Varchenko said. According to the plant, it would be willing to work with foreign partners to produce electric locomotives, but this requires Ukrzaliznytsia’s approval. "The Chinese, Alstom, Bombardier, and Siemens came to us... They looked at our capabilities in terms of equipment and technology and they were satisfied with everything. However, when it came to joint production, they said that Ukrzaliznytsia was their customer and that they would be able to work with us only if Ukrzaliznytsia wanted it. On its part, Ukrzaliznytsia has never invited us when holding negotiations with its foreign partners,” Varchenko said.